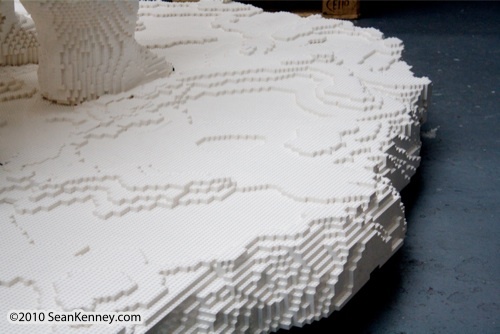 This sculpture is the largest and most visually complex sculpture I have made to date. 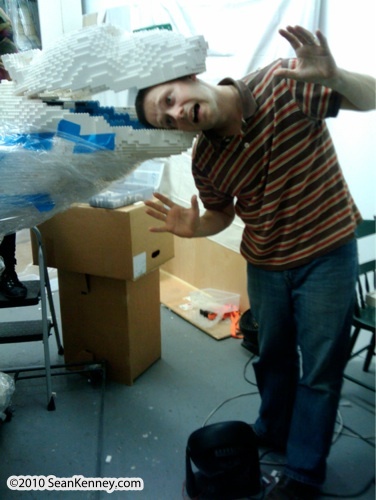 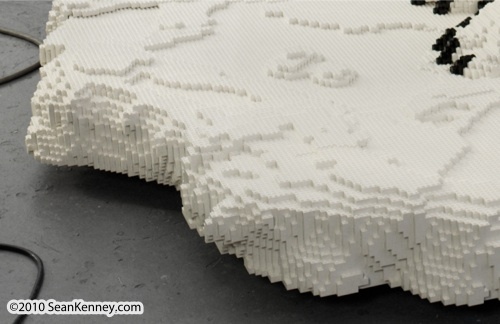 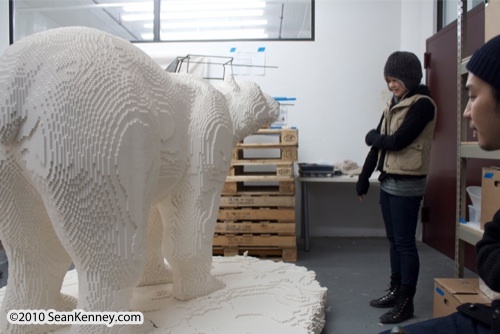 It contains over 95,000 LEGO pieces and took over 1100 hours to construct together with 5 of my assistants. 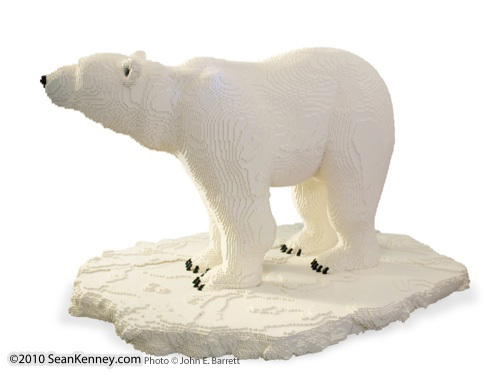 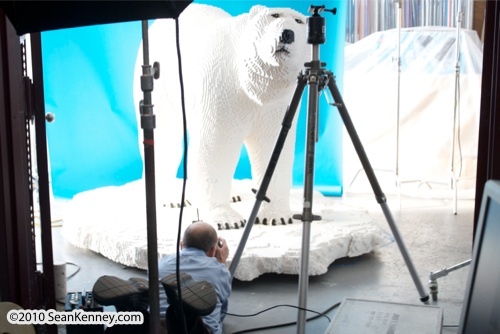 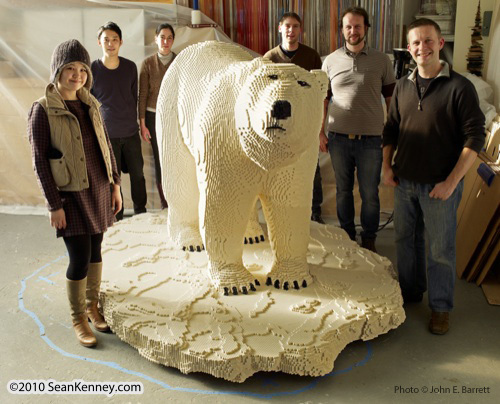 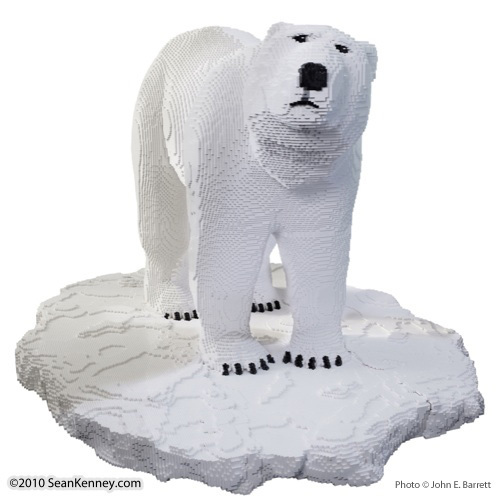 Watch a video of Sean building the polar bear (30 minutes). 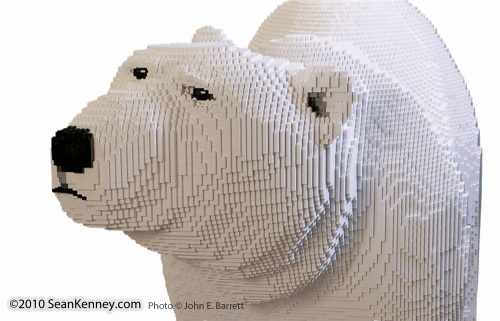 I spent 2 full days just creating the facial expression. 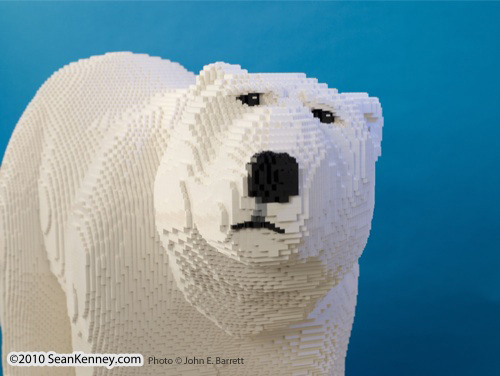 I wanted to make sure the bear didn't look too cartoonish, but also that his expression could be readable the way we read human expressions. 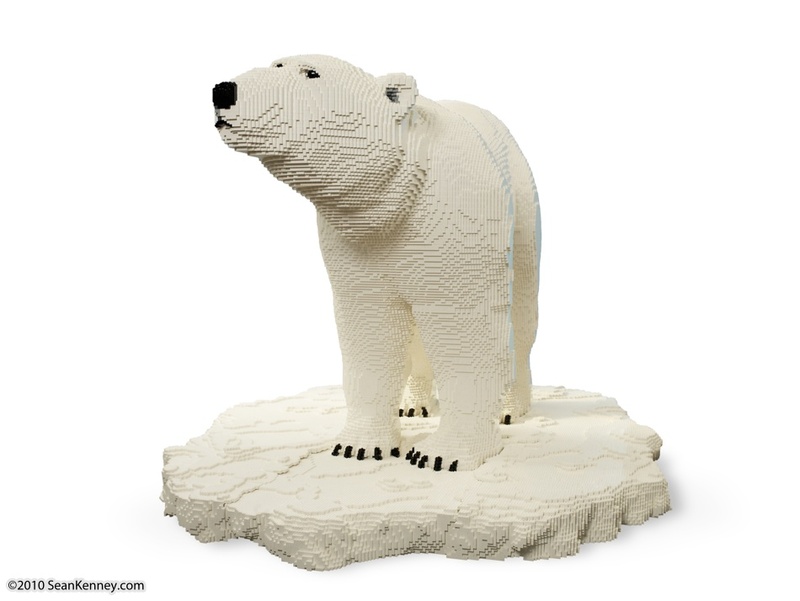 Since he is stuck on an ice floe and his species is endangered, I wanted him to look a little frustrated, a little sad, a little confused, and overall concerned about the prediciment he is in. 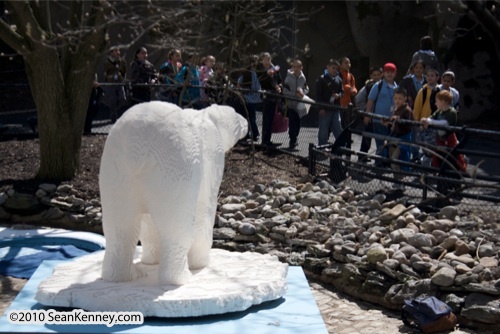 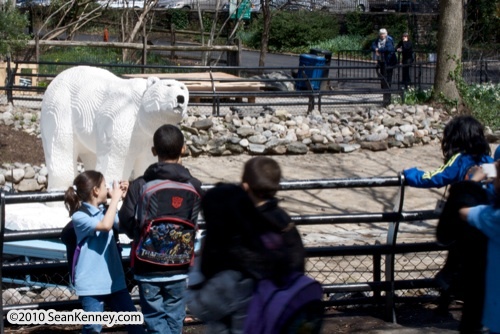 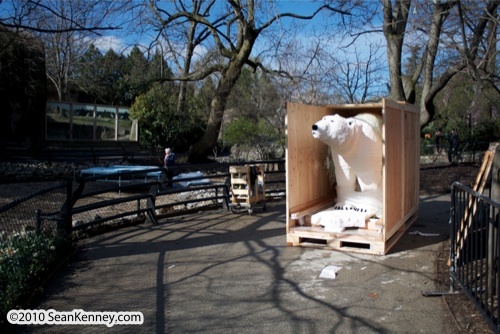 Here are some photos as we installed it at The Philadelphia Zoo. 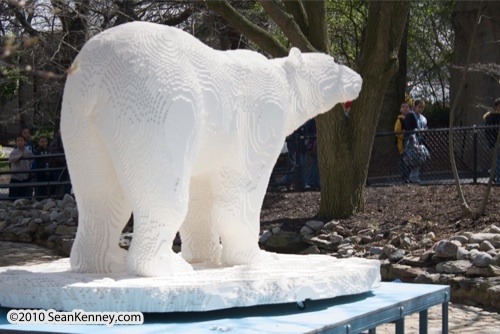 The lake was eventually filled so that the bear looks like it is really floating on the ice floe.